Suffering from a serious issue like Plantar Fasciitis or just want to relax your feet, foot massagers can get the job done. Be it your long shifts sitting continuously or a long walk on a trip, these amazing machine can relax you with ease. Ever heard of Reflexology? Nope, don’t worry! Reflexology is an ancient practice that aids health problems without using drugs. This ancient practice uses pressure to heal pain via a wide variety of points of fingers, thumbs, hands, etc. to cure health problems. This is the practice that is popularly referred to as “Foot Massage” in the modern world. It has grown rapidly to get relief from issues and relax for a while after a bad day. Are you also looking for some Best Foot Massagers? Do you also want to relax after a long boring shift in the office or had a bad day? Well, the foot massagers will make you feel relaxed within a couple of minutes. 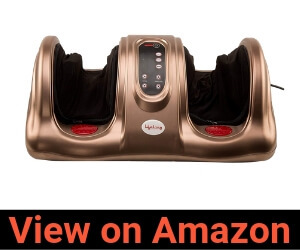 After you’ve gone through the detailed reviews of the list of Top Foot Massagers, you need to know how they work and which one will suit you the best. For this, you need to remember some points. 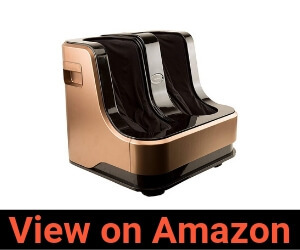 Here’s a short and sweet Buyer’s Guide at the bottom section of this article that will surely help you out in choosing the Best Foot Massager from our top picks. This foot massager machine from Lifelong is easy to use device built especially to get relief from pain or fatigue. This will help you to feel relaxed and stress-free, for sure. There are customized operations that let you decide you the exact body part for massage. Can relieve pain, improve blood circulation, etc. The LM310 from Health Sense works on the bipedal reflexology system that helps in delivering complete foot massage. The system works on the vital points of both the feet simultaneously. The machine has an option of adjusting the intensity and the massage patterns as per your needs and requirements. Ever thought of getting a spa-like massage at home? Well, the Lifelong LLM99 Foot Calf and Leg Massager can provide you that. It uses a special technique that offers roller massage to feet, ankle area, and the calf at the same point of time. 4 modes of massage viz., kneading, rolling, vibrating, and heating. Some users have complained that clothes get stuck in vibrating mode, so use wisely. The JSB HF05 has been built with rubber kneading pads to offer effective massage to ankle, calf and the foot at the same time. This leg massager will surely help you in maintaining blood circulation, arthritis, knee pain, etc. 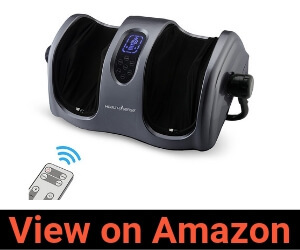 Effective foot massager for varicose veins, knee pain, arthritis, foot pain, calf pain, etc. This foot massager from Health Sense has been designed to offer electronic simulation using acupuncture. Thus, it can apply pressure on the exact points to relieve pain all over the leg and foot. You can tweak the intensity and the massage patterns according to the needs and requirement. The purpose of buying the foot massager should be very clear. Majority of the foot massagers that you find in the market are built for relaxation and stress relief. However, others are manufactured for some therapies like pain relief, reducing inflammation, improved flow, etc. 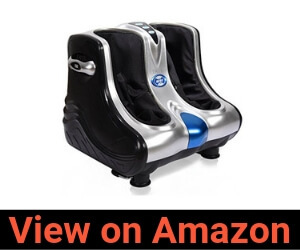 Thus, you need to be very clear about the purpose the buying a foot massager. Check if your toes become hard. This usually happens in women wearing high heels for long. What about your limbs? Do they hurt after a certain work? Do check whether your feet tissues feel bad. Doing a check on what area of the feet exactly hurts will aid to choose the best suitable foot massager. For example, the hydrotherapies are ideal for aching joints and hardened muscles. If you are already suffering from a health problem, consult a physician before buying a foot massager. Though they are built to make you feel relaxed, they can also cause certain problems. Always opt for a medical consultant if you think the pain continues or is deteriorated after a massage therapy. 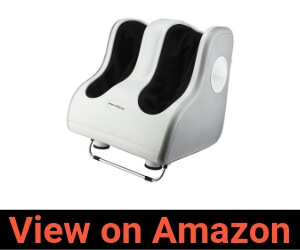 The foot massager that you get should be easy to use. Majority of the popular brands provide easy to identify buttons on the machine or a remote control. This makes the user more comfortable than ever. The last but not the least point to remember is your budget. The market is full of a wide variety of foot massagers in different budgets. What’s your budget? Keep the budget in mind and choose wisely. How often do you get knee pain or foot pain? Don’t you feel like getting a foot massage from an amazing foot massage machine? Well, this article would have helped you for sure. In case you have any doubts regarding the products in our list, feel free to share your thoughts in the comment section below. And for more related content, keep following our blog.